It’s pretty obvious from my cooking that I’m a huge fan of garlic. It’s a relationship that has grown better over time. I recognize now that it started out on questionable terms, because I hadn’t yet come to understand and appreciate its true potential. It all began with my heavy use of garlic powder. (Like I said: questionable). But it was easy, it was cheap, I was in college. What can I say? I slowly progressed to buying jars of pre-minced garlic, which was a step in the right direction. Then I finally bought a garlic press, and a whole new dimension of flavor revealed itself. As someone who looooves me some garlic, I cannot believe it took me this long to see the light. 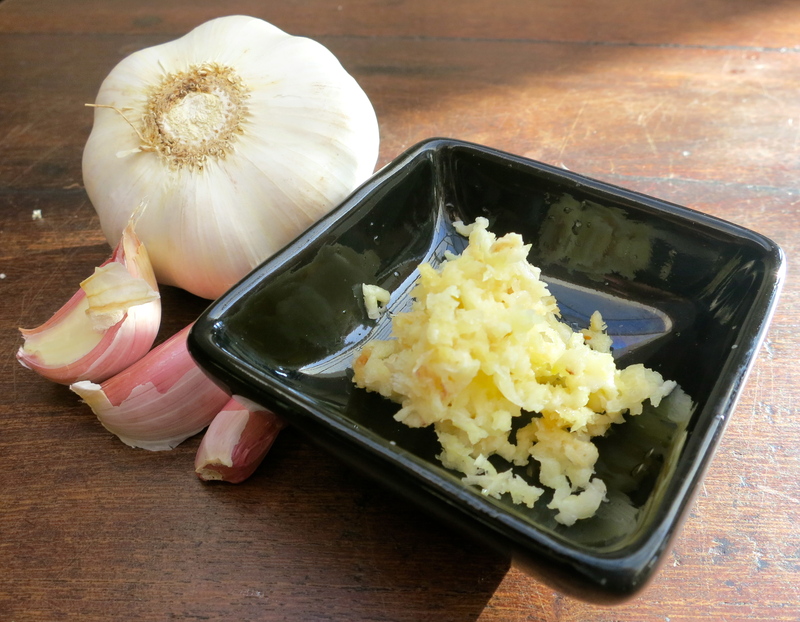 If you’re taking a shortcut with garlic, stop yourself. You’re busy, garlic is stinky, wah wah wah. Just stop. The difference you will see in your cooking is no joke. 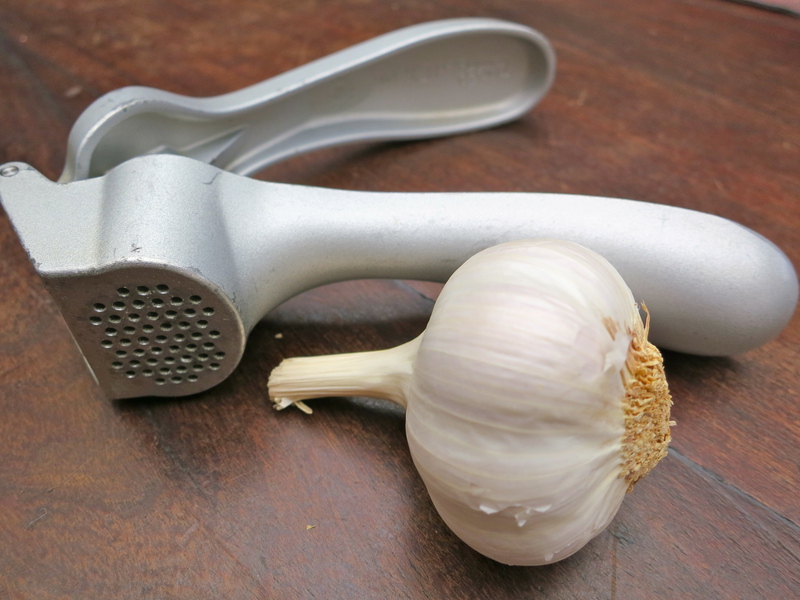 This excellent garlic press from Pampered Chef even makes it easy to mince the garlic and clean up without ever having to touch the stuff. Now, I cannot function in the kitchen without this thing. Am I alone in my ability to obsess over such things, or is there a kitchen tool you would be lost without?